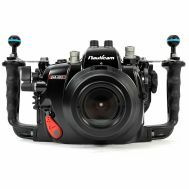 The Nauticam NA-D750 housing for Nikon D750 camera is comfortable and ergonomic, with intuitive operation for underwater photography. Key controls are placed within easy reach of the housing handles, exactly where they are needed. All controls are clearly labeled, and several button and lever formats are used to allow operation by feel. 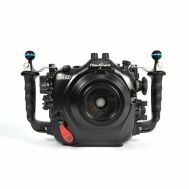 The Nauticam D750 housing for Nikon D750 camera is comfortable and ergonomic, with intuitive operation for underwater photography. Key controls are placed within easy reach of the housing handles, exactly where they are needed. All controls are clearly labeled, and several button and lever formats are used to allow operation by feel. Core camera functions such as shutter release, aperture, shutter speed, live view, info, exposure compensation, depth of field preview, Fn, flash exposure compensation, focus mode, AF/M, and zoom are all located at the users fingertips. 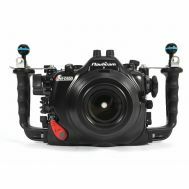 Dual thumb levers pull important functionality from the back of the camera out to the housing handles, allowing quick access to Video Record, AF-On (for thumb activated focus), ISO, and Image Playback. The Multi Controller Pad replicates this control from the D750 Camera, allowing easy focus point selection, even on the diagonals. New Vacuum system reset button, enabling quick port changes on a dive deck with vacuum monitoring security. Previously resetting the vacuum system required removing the housing back. 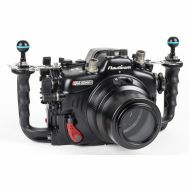 The Nauticam vacuum check and leak detection system is available with NA-D750 as standard equipment. Combined with an optional vacuum valve, this monitoring system provides constant updates on the water tight and safe to dive status of the housing. The operator can, at a glance, instantly see the water tight and safe-to-dive status of the housing. A simple coded LED lighting system lets the user know that the vacuum is solid, or that the housing is losing vacuum. Leak detection is built into the same circuit, so if there is water intrusion, an audible and visual indication will occur. 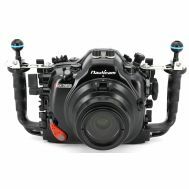 The NA-D750 ships with a 3rd bulkhead port specifically for installing optional vacuum valves, leaving the user two other bulkhead ports for HDMI, sync cables and other accessories. Viewfinders Precision requires vision: A high resolution camera like the Nikon D750 demands perfect focus for optimal results. 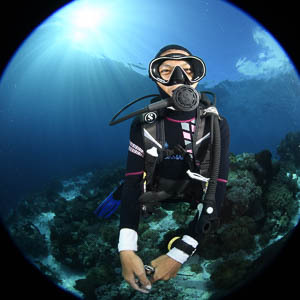 Fortunately, Nauticam has developed the most user-friendly interchangeable viewfinders available.